We train to stay safe. We train to learn how to protect ourselves and those we care about. Some people would like to buy their self protection on line. Use some App and buy it using your iPhone. Stay safe, never venture out of your comfort zone. When I began my training I ventured far away from my comfort zone. 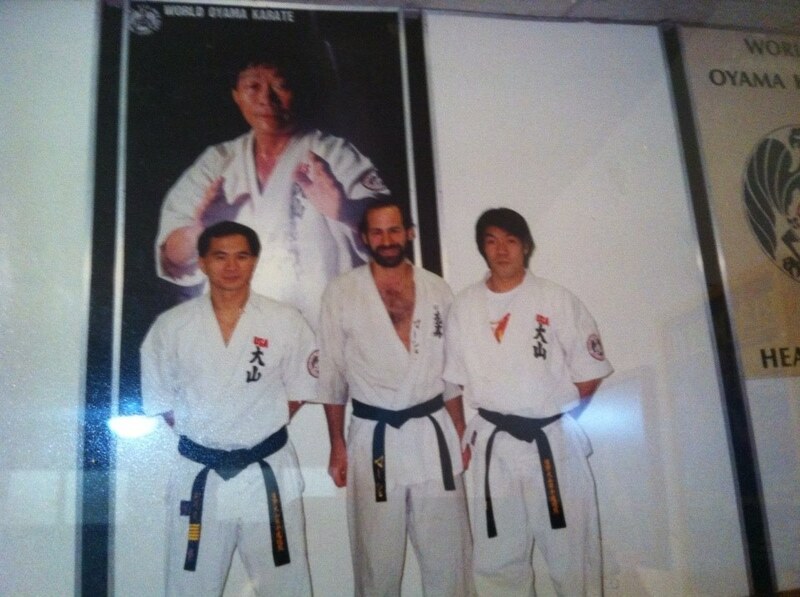 I was living in Brooklyn and there were plenty of locals teaching martial arts. There was even a "Jewish martial arts club", but I chose to go to a traditional Japanese school, but not just any school. Even among the Japanese the Kyokushin style was known as the tough style, a black belt in this style was highly valued. Contact was hard and real. I chose this style because I knew I had to leave my comfort zone. I wanted a place that would challenge me, I wanted a place where no one would go easy on me. So I left my comfort zone, the Jewish neighborhood, and I trained with Asians, Hispanics, Blacks and street kids. My world expanded. I would not trade that experience for anything. As a teacher I have seen so many students join a class, or a seminar. I can see their anxiety but also their courage. Some are older, some are very short, some are office workers who have never trained in any contact sport or martial art. They are all way out of their comfort zone. The price for training is you venture out of your safe zone, you expose yourself to the fear of not doing well,to ridicule from your friends and family, to fear of failure and shame. You might get a little sore, a little banged up here and there, an accidental punch to the nose. After three months in the Oyama dojo I made my first visit to the emergency room. I held no grudge against the green belt who gave me a roundhouse kick to the nose. Now I knew what it meant to see stars. Lesson learned. More visits would follow, broken hand, teeth, stitches. Really no major injuries and nothing to complain about. Just the bumps and bruises that come along the the way. With our style of Krav Maga, IKI Krav Maga, we do our very best to avoid unnecessary injuries or pain. But this is maga, contact, and in every contact sport or activity there will be an occasional bump or bruise. The price you pay for learning to defend yourself is like the price you pay for the flu shot; there will some minor pain, there will be some possible swelling and itchiness but in the long run it will be to your great benefit. With Krav Maga you will have to leave your house and your comfort zone. You will meet some people who will initially scare you. Perhaps you will see some tough guys, police and military types or body builders. You will be leaving your comfort zone. The first shot to the nose may be a little uncomfortable but please remember...to achieve anything in life you must leave your comfort zone. And I still remember, Brooklyn, getting up at 5 in the morning, leaving my comfy warm bed, going out in the snow, taking the train to New York City, seeing the Japanese Uchi Deshi, and starting some great training. And it has all paid off. To those about to train...we salute you.